Creating with vinyl is a lot of fun, and there's so many things you can create with it! 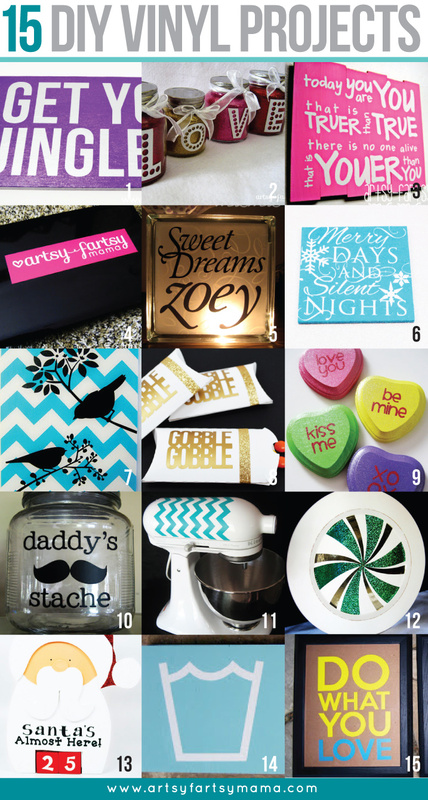 Wall art, holiday decor, favors, and handmade gifts are just a few ideas to get you started. 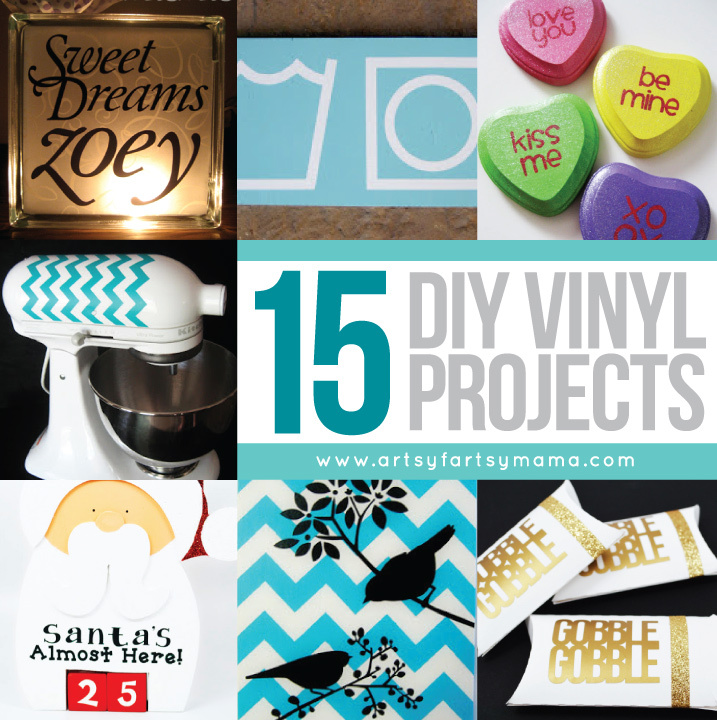 Today I'm sharing 15 easy DIY vinyl projects you can make in an afternoon! **If you're looking for a great deal on vinyl to refill your stash or start a new one, you're in luck! Silhouette is having a sale starting December 26th until January 2nd. Maybe you need a late Christmas present, or just looking for some supplies for your machine? Either way, these are amazing prices! what an incredible list! I am so inspired! Ooohhh... Very nice group of crafty projects. Love what you did with your KitchenAid. Great round up! I'm vinyl addicted! I love these ideas! I really need to get me one of those Silhouettes, but it can't be now. My husband just bought me a new KitchenAid mixer that was not in the budget, so the Silhouette will have to wait. I'm super happy about the mixer though. WOW! You have tons of cute ideas here! I love vinyl! This is an awesome round up! I love Vinyl. Thanks for sharing these ideas. Great vinyl projects! I'm ready to get my silhouette out!